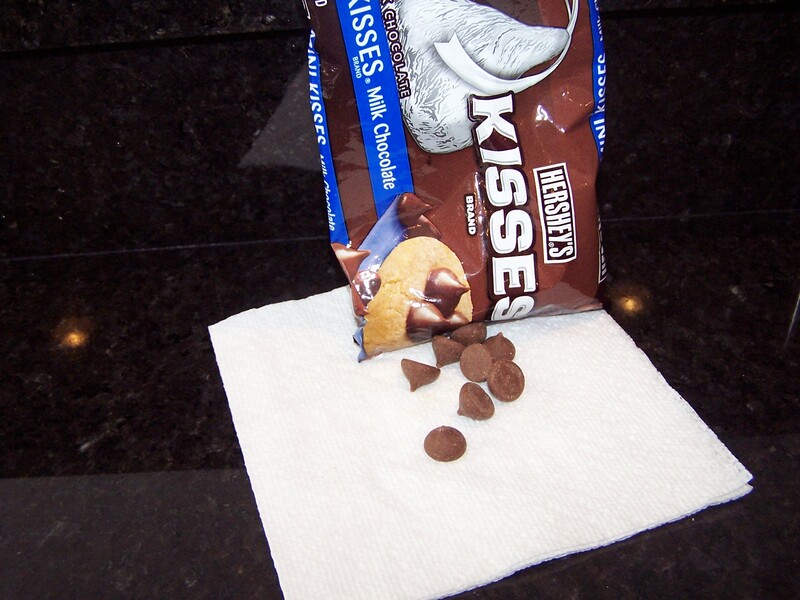 Hershey has come up with a new way to eat Hershey’s Kisses. I discovered this recently when my personal grocery slave er shopper came home with a bag of Hershey’s Mini Kisses instead of the standard Hershey’s Kisses by accident. Trend two, which is perhaps even more disturbing, is making food smaller. Mini-bagels, 100-calorie snack packs, and mini versions of full size snack foods like mini Oreos, mini M & Ms and, now for your enjoyment, mini Hershey’s Kisses. Making smaller versions of well-known foods actually encourages folks to eat more (and consequently buy more) because, hey they’re so small. 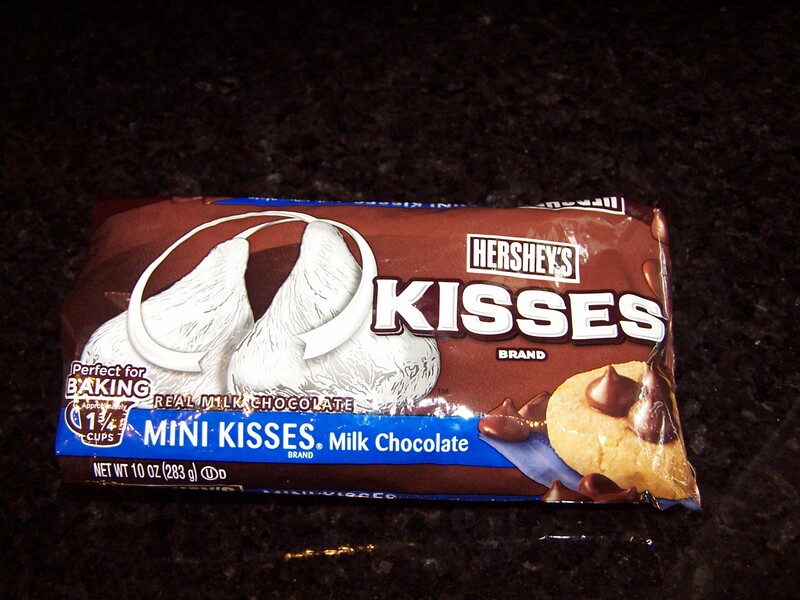 Hershey’s Kisses are an iconic candy. The foil wrapper. The little tab of tissue paper sticking out of the top, that has little purpose, except to litter one’s floor when it goes fluttering out of the wrapper upon opening. I had recently made a rule at my house after finding tiny bits of foil and those little Hershey’s tissues all over the kitchen floor: anyone eating Hershey’s Kisses at my house was required to unwrap the candy over the wastebasket, to cut down on the Hershey’s litter. This actually turned out to be a great Hershey regulator, because you couldn’t just grab a handful of Kisses and wander around the house eating them. That extra step of pulling out the wastebasket and standing there while tediously peeling off the foil wrapper, helped keep our Hershey habits in check. It was too much work to stand there unwrapping Kisses, so I didn’t bother to eat them that much. Until now. The Hershey’s Mini Kisses are UNWRAPPED. Just open the bag, reach in and they’re all ready to eat. Very easy to grab a few, then a handful, then another handful. Heck, why not just carry the bag around with me, since there’s no messy foil, no silly tissue strips. Hershey’s Kisses unplugged. Hershey’s Kisses to go. Hershey’s Kisses: the new addiction. Well, sorry Hershey. I don’t need another addiction. I’m already flawed enough. Already have plenty of bad habits. I don’t need another temptation to make me eat more than I need. No more Hershey’s Mini Kisses at my house.